For the second year, transport watchdog Transport Focus has conducted research to find the best and worst service stations in England. When choosing their satisfaction rating, Transport Focus asked 9600 drivers to consider factors including staffing, food and toilets. Norton Canes on the M6 toll road tops the list of 111 stations with an impressive 100 per cent satisfaction rating. Bottom is Thurrock on the M25, with just 68 per cent satisfied customers. Almost three-quarters of the MSAs had satisfaction ratings of 90 per cent or above. Fifteen sites have had significant increases in satisfaction since the previous year. The second-worst service station in 2017, Stafford Southbound with a 70 per cent rating, has changed so much that it is now the second-best, with a 99 per cent approval rating. Heston Eastbound is up from 62 per cent to 88 per cent. Overall, 92 per cent of motorway service station customers polled were happy with their visit, although only 66 per cent thought that the food and drink available was good value. 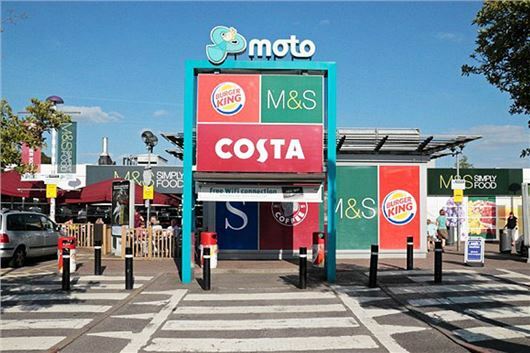 A spokesman for Moto said: "We are conscious that major redevelopment works at Thurrock and Toddington South had a negative impact on our customers’ perceptions, especially during washroom improvement work." There is also an ongoing investigation into the high price of petrol and diesel at motorway service stations. Transport Secretary Chris Grayling voiced his concern that forecourts may exploit users in a situation where there is less choice and competition. This could discourage drivers from stopping and re-fuelling when they most need to. In a statement, Roadchef - one of the three operators of England's 112 motorway service stations - said it didn't set fuel prices. It stated that many of its forecourts were owned by fuel companies who set the prices to reflect motorway trading, like 24-hour opening. Obviously nobody commenting had stopped at Gloucester Services on the M5, otherwise the winners would have been different! In regard to the fuel prices, and not having competition we could follow the way service stations in France display the prices before you get to the service station. They display the next station, fuel company and price, just beyond that they inform you of the one after. Not that there's much difference in price but at least if you have a particular fuel card you can choose which one to visit.